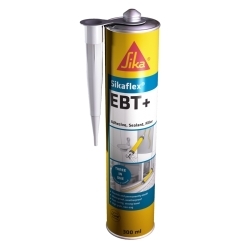 Various products used to fix accessories to your kayak. Trifold Rivets are perfect for fixing accessories to your kayak where access does not allow for nuts and bolts to be used. Sold as a pack of 10. 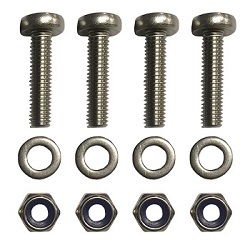 Well Nuts are a good fixing option when access does not allow for nuts and bolts to be used. Supplied as a pack of 4. Nuts, Washers and Bolts are the strongest option for fixing an accessory to your kayak. Supplied as a pack of 4. 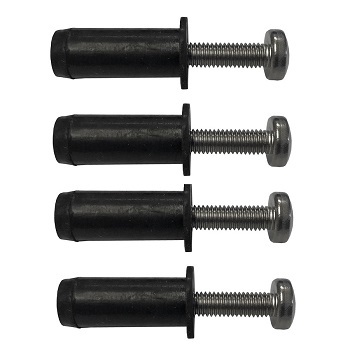 You will require access to the back of the area you are installing your accessory in order to tighten the bolts. M6 size fits Scotty and Railblaza bases. 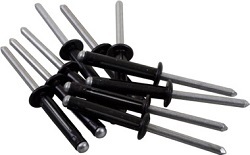 Bolts, Nuts and Washers are the strongest option for fixing an accessory to your kayak. Supplied as a pack of 4. 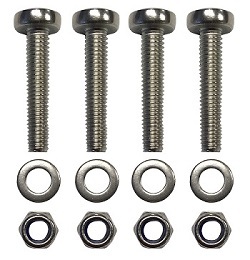 You will require access to the back of the area you are installing your accessory in order to tighten the bolts. M5 fits Ram Mount bases and can be used for many other fitting applications. 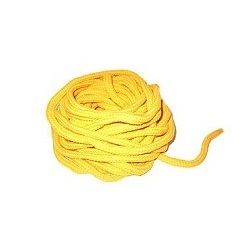 Multistrand 8mm floating polypropylene cord. 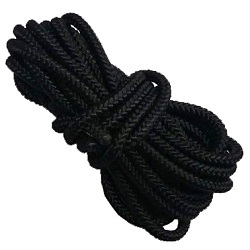 Useful for painter lines, towlines and more. Sold per meter - adjust quantity in basket. 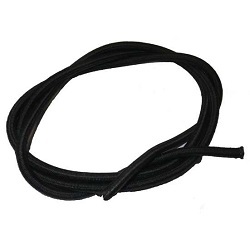 Other fittings, such as pad eyes and cleats, can be found in the Anchoring Accessories section.